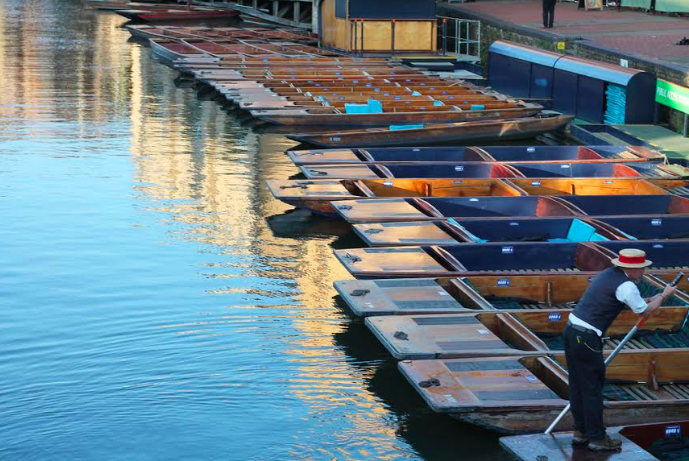 Cambridge is a hugely popular destination for tourists, the streets are always flooded with visitors snapping their best shot of the stunning University buildings, Harry Potter-esque winding streets and river laden with punts. It’s not hard to see why Cambridge is such a popular city, it has an unbeatable charm and authenticity that draws you in one red telephone box at a time. Ok, it’s my hometown, I might be a little biased but that does also put me in a good position to share my top tips for visiting the city as well as how to save money on your visit! It might be an obvious one but taxis in Cambridge can be extortionate, trust me! Especially in the evening where the price appears to creep up pretty fast. The buses are actually quite simple to use and the drivers are usually helpful if you need a little direction. I would also recommend jumping on the bus for the slightly out-of-town sites such as the American Cemetery and Botanical Gardens, which by the way are well worth a visit! I always find that food is one of the most costly components of a city break. You’re never quite sure what is what and often find yourself in one of the overpriced tourist traps. If you want to seriously budget then check out the city’s main market for cheap eats. A little tip, there’s a great West Indian food seller that offers delicious curries, including great vegetarian and vegan options. They serve it up in a box so you can easily takeaway and prices start from about a fiver. There’s also plenty of stalls selling fresh fruit, juices, cakes and breads. If you’re also going to be getting a taste of the city nightlife then it’s worth scouting out 2-4-1 deals and happy hours as cocktails can be up to £9-10 in the bars and clubs. On Monday-Friday Revolution offer 2-4-1 on selected cocktails, so it might mean an early start but hey you gotta do what you gotta do! Las Iguanas also offers 2-4-1 on their 25 cocktails and coolers all day every day, so you can enjoy a few Pina Coladas with your quesadillas. There are tones of different voucher and money savings apps you can download to bag up to 40% off your bill. Although it mostly applies to chain restaurants and stores, you could save yourself a fair few pounds! Plus the apps are free so you may as well add it to your phone for the duration of your trip. 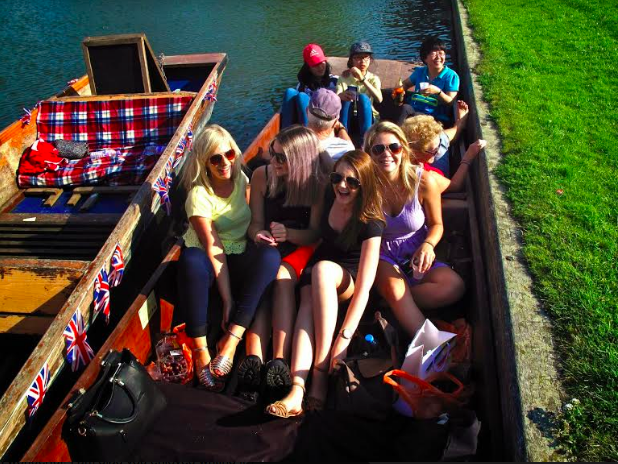 If you’re heading to Cambridge then there’s a 99% chance you’ll probably go punting. It just has to be done! Make sure you book your tickets online with Scudamore’s before you go as you can save yourself more money, and they also offer family deals online too. It’s generally cheaper to hire your own punt out for the day and give it a go yourself but if your muscles aren’t up to the challenge (trust me it’s harder than it looks) you can join a shared boat with a tour guide instead. They’ll also give you a background history on the city of Cambridge and the various different bridges and buildings you’ll come across. In the summer, hotel room prices sky rocket and can cost a fortune. It’s definitely not a student friendly budget, so if you need to save the dollar then I’d recommend staying outside of the city. If you’re planning on hiring a car, nearby Newmarket is a great option. Usually, when I have friends or family visit they stay at the Bedford Lodge Hotel which offers luxury rooms but without the inflated city price tag. It’s only a twenty-minute drive to the city so it’s worth looking into. There’s also the route of staying in student accommodation, but this is only available during the summer when the halls are empty. The Fudge Kitchen on Kings Parade always appears to be a hit with tourists, and there’s usually a queue outside the door and down the street in summer time. It’s a cute little building and you can actually watch the fudge being made on a big marble table which is a nice touch. There’s no charge to come in to stand and watch and the staff are always more than happy to offer you a few free samples of their world famous fudge. And if you’re vegan like me, don’t worry as they also make delicious dairy-free fudge! Entry to the city’s museums are free so you really should make the most of them! They’re a great way to spend an afternoon and will cost you absolutely nothing. The stunning neoclassical architecture of the Fitzwilliam Museum is truly impressive and home to an extensive collection of art and antiquities. There is also an Egyptian gallery which underwent a two year £1.5 million project of refurbishment and conservation. The museum also regularly holds events, exhibitions and talks so it’s worth checking out what’s on. Cambridge is a very student based city, so if you’re a student yourself it’s always worth keeping your eye out for discounted rates. Make sure you have a valid student ID as most places will ask to see it. It can get you cheaper entry into clubs, reduced transport fares and 10% off in many of the shops. Most places seem to have these hop on hop off buses and I do think they’re a good way to see a city and do it cheaply too. Tickets are £12 for students and there are around 20 stops you can hop off and on in your own time. The commentary is available in 8 different languages which makes in convenient and easy for everyone! Tilly-Jayne is a UK based life, style and travel blogger. A passion for exploring you can usually find her planning her next flight or dreaming about taking the ultimate road trip across America. Find her over at tillyjayne.com.